The S.C3B series of glassfibre collinears are designed for professional base station and telemetry applications. The antennas have been designed with an integral dual purpose mounting bracket, cast in aluminium. The stainless steel fittings enable the antennas to be fixed to the top or side of a vertical pole up to 60mm diameter. 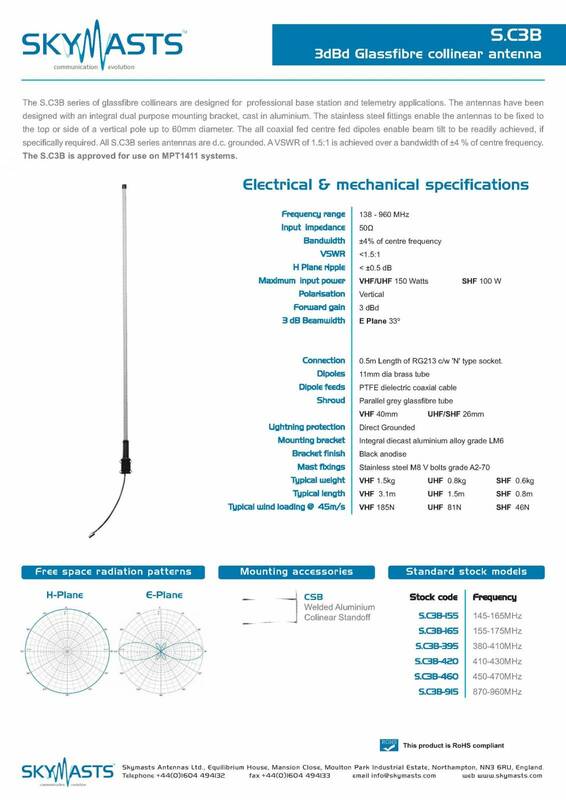 The all coaxial fed centre fed dipoles enable beam tilt to be readily achieved, if specifically required. 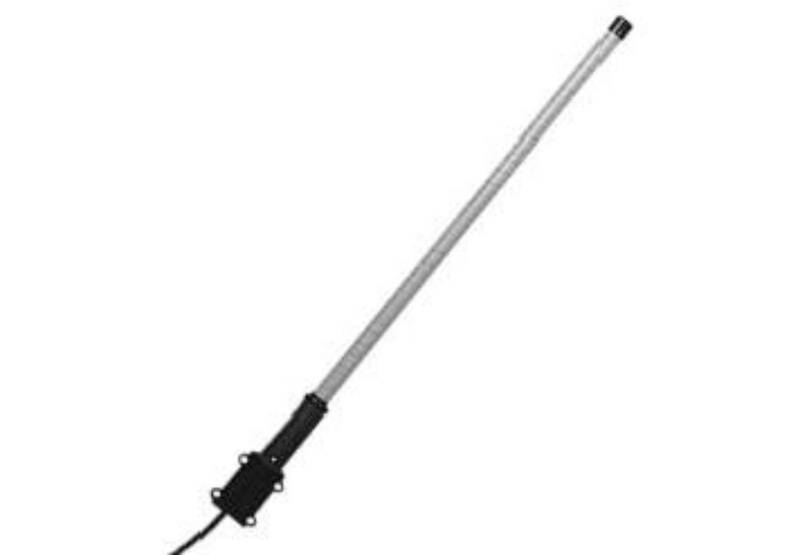 All S.C3B series antennas are d.c. grounded. A VSWR of 1.5:1 is achieved over a bandwidth of ±4 % of centre frequency. The S.C3B is approved for use on MPT1411 systems.